The external war is, of course, deliverance. When Jesus sent out his buddies, the disciples, he sent them out to cast out demons and heal the sick. 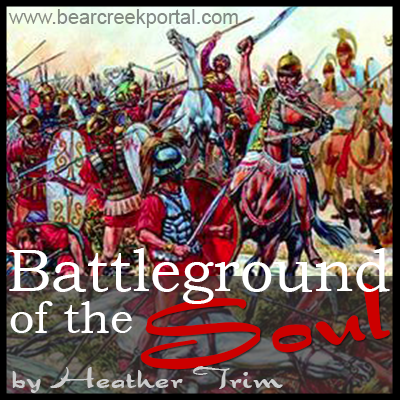 This is a battle with the lowest level of demons, the foot soldiers in the army of the kingdom of darkness. Think of strongholds as brick walls. Each brick is a thought entering our mind and, wow, there are a lot of negative thoughts. So before deliverance… demons support these strongholds. They want you to believe your lies. It is like swimming upstream when trying to tear down strongholds before deliverance. You can try but you don’t get very far. We’re working so hard to be a good Christian person when one simple deliverance session would kick out the opposition once and for all. After deliverance, when the demons are gone, we can tear down the towers of worthlessness, selfishness and anger and allow God to heal us.